Until recently it has been quite difficult in Ireland to deal with debts which have spiralled out of control. A major step has now been taken to remedy this, through the passing of the Personal Insolvency Act 2012, of which the Debt Settlement Arrangement provision is part. Reform of personal insolvency legislation was one of the conditions for obtaining financial support from the European Union and the IMF, following the recession and the crisis in the banking system. Before the Personal Insolvency Act of 2012, if you were unable to meet your financial obligations there weren’t very many options for Irish debt help. Before this act was passed, bankruptcy was the only formal option that offered both protection from creditors and debt relief agreements to pay off your debts. many reasons, most people want to avoid bankruptcy at all costs. Applying for a Debt Settlement Arrangement or Personal Insolvency Agreement, or PIA, is now an option for those with moderate debt. The pressing need for debt help Ireland has been reinforced by the unprecedented levels of negative equity, which has affected large numbers of mortgage holders as a result of plummeting property values. Because of the negative equity problem, many secured loans, such as mortgages, include substantial amounts of unsecured debt. This presents lenders with significant challenges as they endeavour to pursue recovery of their unpaid debts. Against this background, the new legislation for Irish debt help has introduced three new options for dealing with personal debt, each of which aims to help debtors avoid bankruptcy. The Debt Settlement Arrangement, shortened to DSA, is one of the three, others being the DRN or Debt Relief Notice, and the Personal Insolvency Arrangement, known as PIA. The legislation also set up a new government body, the Insolvency Service of Ireland (ISI), to oversee and administer all these arrangements. The DSA applies to you if you have unsecured debts exceeding €20,000. 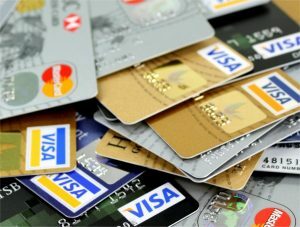 This would include credit cards, store cards, bank overdrafts, utility bills or personal loans. For debts of €20,000 or less, you will need a DRN, while a PIA would apply to secured, as well as unsecured, debts of €20,000 to €3 million. So if you find you have unsecured debts of more than €20,000, what do you do? The first thing to do, before anything else, is to ensure you are eligible for a DSA, and the way to do this is to get in touch with a Personal Insolvency Practitioner (PIP). PIPs are the newly created profession set up to put into practice the provisions of the Personal Insolvency Act. There is a register of PIPs on the ISI website, where you can find one near to you, or you can seek advice from MABS, the Money Advice and Budgeting Service, or from Citizens Information. The PIP will first review your circumstances to see if you qualify for a DSA. You have to be insolvent under the terms of the Act, which means you are unable to discharge your debts in full, and unlikely to be solvent again within five years. You also need to have been resident in Ireland for at least a year. The PIP will also have to look at your debts. It’s important to note that, if you have unsecured debts such as credit card debts and personal loans, but have consolidated them into your mortgage, they become secured debts and won’t qualify. The other important point is that at least 75% of your debt must have been built up six months or more before your application. Debts from court fines, family law orders such as maintenance orders, or any awards made against you for personal injury, cannot qualify. If you prove to be eligible, the PIP will help you draw up a Prescribed Financial Statement, formalising your situation. He or she will also help you apply for a Protective Certificate from the ISI. This prevents your creditors from taking any action against you, while the DSA is being drawn up. When the proposed DSA is drawn up, it will be presented to your creditors for approval. It will propose that you pay a certain sum of money each month for five years, though the creditors can raise this to six. The proposal needs to be approved by 65% of your creditors by value, and if they don’t approve, you may have to consider bankruptcy. You should be allowed to keep your home. Realistically, you will probably not pay off your total debts in the five years. However, if you adhere faithfully to your obligations, it is likely that at the end of the period, you will be discharged from the DSA, and also from your remaining debts. You will then be officially solvent. PIAs are the new debt resolution plans designed for people with both secured and unsecured debts. They are meant for use by those who can pay back a portion of their debts each month, but cannot meet their full payments on their mortgage, credit cards and personal loans. These agreements can help Irish citizens struggling in tough economic times. Do I Qualify For A PIA? There are very specific eligibility criteria that must be met before applying for a Personal Insolvency Arrangement in Ireland. First, the debt must include both secured and unsecured debts, and the total secured debts must fall between €20,000 and €3 million. It is important to note, however, that this cap may be raised if all secured creditors agree. It is necessary to be insolvent based on cash-flow, meaning that applicants cannot pay their debts in full as they come due. This should be a permanent financial issue, with no foreseeable change in the next five years. Applicants also have to be able to show that they can pay back their debts, at least in part. This requires a steady income that can cover both the cost of living and the payments required in the agreement. Finally, if the applicant is eligible for a Debt Settlement Arrangement, they will most likely not be eligible for a PIA. To apply for a PIA, you must first visit with a Personal Insolvency Practitioner. This is a trustee who will help to determine the best way to handle your personal financial crisis and guide you through the application process. The new law establishes these trustees, and the process they must follow. Personal Insolvency Agreements are administered by the newly established Insolvency Service of Ireland (ISI). After your application is submitted, the ISI issues a protective certificate. This certificate prevents creditors from taking any action against you or forcing you into bankruptcy during the agreement process. Protective certificates cover applicants for 40 days. If needed, this can be extended to 60 days. If an agreement still hasn’t been reached, an additional 10-day certificate may be requested. The trustee (PIP) will review your financial statements and propose a settlement for each of your debts. These totals will then be restructured so that you pay toward them over the agreement term. Most PIAs run six years, although some run five while others are extended to seven. It is important to note that your debt is not written off during a PIA. You will be required to make repayments to your creditors during the agreement term, once the term has ended any remaining debt is then written off. Once the trustee has written a PIA based on your financial situation, it must be approved by both you and your creditors. In order to put the arrangement into effect, the creditors who represent at least 65 percent of your debt will have to approve it. Moreover, at least 50 percent of the secured creditors and 50 percent of the the unsecured creditors will have to approve. Only then can you begin to repay the debts at the restructured rates, and work your way back to financial solvency. After the agreement term is over, your unsecured debts will be paid off if you have made all of the required payments. Some of your secured debts may also be paid discharged or reduced, depending on your agreement. This means that within a few years, you have gained solvency and no longer need debt help Ireland.